SonBridge Community Center recently passed its 10 year anniversary of operation. The multi-agency ministry began with a simple dream: to connect people in need in the Walla Walla Valley with the Adventist community. 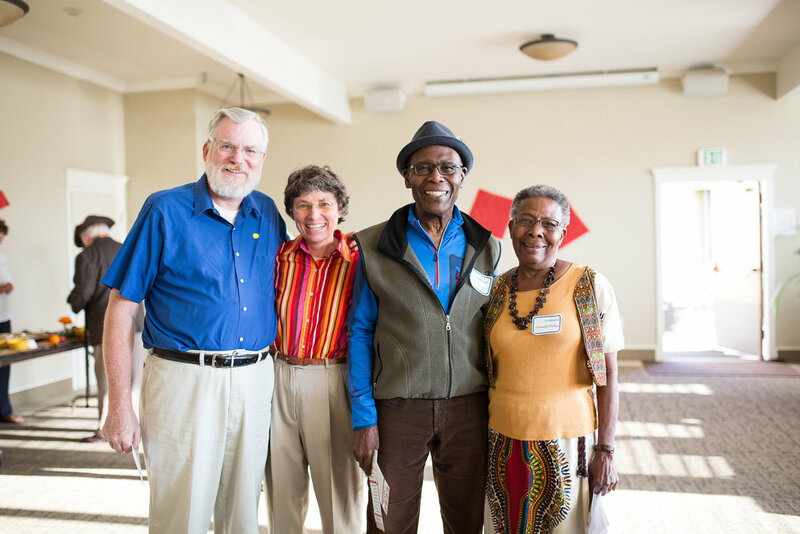 Thanks to the blessings of the Lord and the help of many volunteers, SonBridge now serves thousands of people every year in a myriad of ways. It was in 2005 when a group of church members saw the potential of using a former nursing home facility as a community center. The team led an effort to generate a coalition among area Adventist churches, who together purchased the property. Immediately, a crew of volunteers got to work fundraising and renovating the facility. Since the beginning, a new warehouse has been constructed, medical and dental clinics created, a retail space renovated, and just recently a large education center is in the works. SonBridge is also the home to Christian radio station KLRF 88.5 and Blue Mountain Television. It has been a long process, however, Christensen reports that through the dedication and generosity of many volunteers, local agencies and contractors, SonBridge’s building projects have consistently been 40 to 45 percent below comparable construction costs while still maintaining professional quality. At SonBridge, a core value is communicating to each and every client that they are of utmost worth. A beautiful and professional-quality facility is the first step in making that value a reality. In many ways, SonBridge is similar to Adventist Community Services (ACS), the long-time ministry of many Adventist churches. A thrift store, clothing bank, or individualized support for those in need is not a new concept for many Adventist churches. 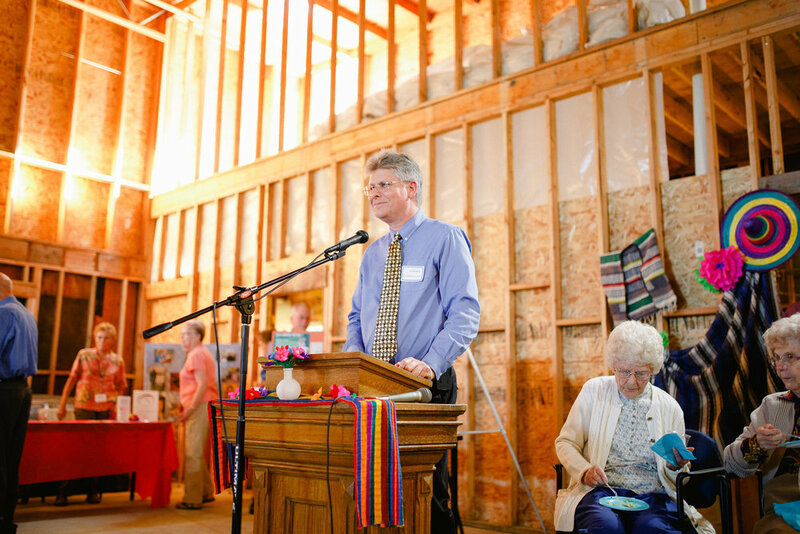 However, SonBridge has a broader vision– partnering with the extended social-services community in Walla Walla as well as with area Christian churches to discover and address key unmet needs in the city. Christensen says this is “one of the best things” about the organization. Rather than resembling¬ a “self-serving” evangelism clearing house, SonBridge is known by Christians and non-Christians alike as a friend and reliable partner for creating good. When someone in need calls Walla Walla’s Helpline for emergency support with firewood or utilities, they screen the need and pass the request to SonBridge. When a person goes to the Department of Social and Health Services without insurance and in need of dental work or medical care, SonBridge’s SOS Medical clinic or Dental clinic are the suggested resources. When the Christian Aid Center has a client who also needs support for life’s crises, ‘Impact’ at SonBridge is the suggested agency. This remarkable positive reputation is better evangelism than any hard-driving argumentative appeal. What the large team of dedicated volunteers has created is a front-line ministry which is helping people and it needs to be celebrated. SonBridge’s reputation is part of what fuels such healthy donations to its Thrift and Gift Store, which hosts more than 60,000 visits per year. The store is well-run, clean, highly organized, and beautifully decorated – all by volunteers. The store is so successful that its income is what is used to fund almost all of the center’s other ministries! It not only is a service in itself, it also makes SonBridge as a whole financially sustainable. The store is open Sunday, Monday, Tuesday, Thursday, 10 a.m. to 4 p.m.
Rick Johnson, development and marketing coordinator at SonBridge says the thing that impresses him the most about the center is the education it provides. He is especially proud of the ESL (English as a Second Language) program, which, he says, “empowers newer residents, giving them confidence and more involvement in their new communities.” Johnson points out that some of SonBridge’s emotional intelligence skills programs are led by Walla Walla University’s department of social work interns who themselves benefit not only by serving, but by putting their professional talents to work. From anger-management to setting boundaries, the team is a resource for those who are in need of social tools that aren’t always second nature. Our very own Pastor Troy Fitzgerald always has many projects and ideas up his sleeves. Between his work with College Place Public Schools, WWVA, Leadout Ministries, writing, and mentoring & discipling many college and high school students, Pastor Troy is always running. ‘Change the Day’ invites WWVA students to save their leftover coinage to fill a large shared jar kept at school. Once a week, a leader drives them around town looking for opportunities to bless people with the money. Discretion is key in this activity - students do their best to follow Jesus’ invitation to do good works ‘in secret’. No matter who ends up benefiting from their gifts, students get an education in how even little things can make a big difference. ‘The Edge’ is based on Leviticus 19 and the principle of withholding some harvest for the poor and outsiders. Using an empty lot across the street from WWVA, Pastor Troy & a group of students planted a garden that achieves several noble goals: a meaningful service of providing free fresh produce to those in need in our community, quality work experience for students, and the learned values of generosity and delayed gratification for the young people who take part.